Welcome to Unitech Oxon Limited - we are a family run Banbury based kitchen manufacturer, providing bespoke kitchens and fitted furniture to Oxfordshire and the surrounding counties. 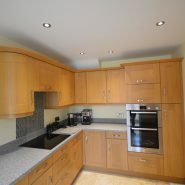 We provide designer kitchens and bedroom furniture, designed and manufactured at our Banbury factory. You need to look no further for quality, individually made furniture to enhance your home. We will provide you bespoke designer kitchens without the designer price tag - offering best price first time with no sales or gimmicks. Because we supply our products straight to you, minus the unnecessary and often expensive middleman, our prices are as attractive as the furniture and fittings themselves, giving you bespoke kitchens at high street kitchen retailer prices. 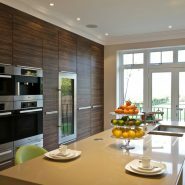 We have chosen the best quality kitchen components from Blum and Hettich to manufacture your chosen bespoke kitchen or fitted furniture and provide kitchens from the SN Collection (Second Nature Kitchens, Metris Kitchens and 1909 Kitchens), Burbidge Kitchens, Aisling Artisan Furniture and Marpatt Kitchens. 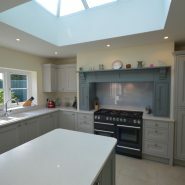 This provides you with a wide choice of traditional kitchens, modern kitchens and in-frame kitchens and our Banbury kitchen showroom contains a wide choice of ten kitchen displays. In addition to these kitchens on display, we have a large range of sample doors, sample work surfaces and handles together with LED lighting and kitchen storage solutions, with a wide range of kitchen appliances on display from Bosch, Siemens, Caple, Quooker, Blanco and Elica. 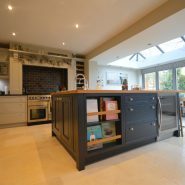 From our factory and kitchen showroom in Banbury, we have been manufacturing and supplying kitchens in Oxfordshire, Warwickshire, Northampton, Buckinghamshire, Hertfordshire, London and surrounding areas for over 25 years.